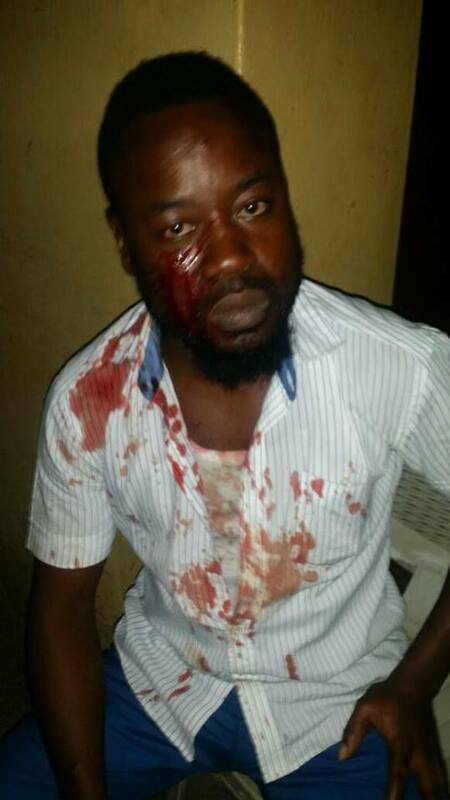 A student of the University of Lagos, Jimmy Fatunbi has narrated how he escaped death after two suspected ritualists attacked him inside UNILAG campus. He said the two kidnappers nearly blinded him after claiming that they were lecturers. Fatunbi wrote: "When our campus is unsafe, what shall the students and parents do? I just escaped being blinded by two assailants, perhaps ritualists, who claimed to be lecturers(one is Dr. Taiwo in Art and Social science department. The other's identity is yet to be ascertained) in the faculty of education right in my school. However, I sustained serious injury aside my valuables that were taken: I am currently receiving treatment at the University of Lagos medical center. The matter has been reported and the security unit has swung into action. I believe that culprits, despite their 'connection' as they claimed, will be brought to book. .
Constituted authorities- The Acting VC, DVCs, DSA, Dean of School of Postgraduate school, Dean of Arts, Dean of Education. Henry Hall Master, DDSAs and the general students- should please investigate this to prevent gross indiscipline and man inhumanity to man on our campus.